Even before President-elect Donald Trump named Rex Tillerson, Rick Perry and Scott Pruitt for coveted Cabinet posts, the men topped the environmental movement’s 10 most wanted list. Environmental groups like the iconic Sierra Club are enjoying a resurgence in interest and contributions since Donald Trump's surprise victory in November. Now some of the nation’s biggest green groups are turning the Exxon Mobil CEO, former Texas Governor and Oklahoma attorney general into poster children for one of the most successful environmental fundraising campaigns in modern history. In the past four weeks, donations to San Francisco-based EarthJustice are skyrocketing, says vice president of development Mollie Fager. In the past year, contributions have quadrupled and the number of first time online donors increased sevenfold, Fager says. That’s significant because in the environmental movement, EarthJustice is the tip of the spear. Other environmental groups rely on EarthJustice’s 120 attorneys when they head to court. EarthJustice is currently embroiled in more than 300 lawsuits and most noticeably represents the Standing Rock Sioux in its fight against the Dakota Access Pipeline. In Florida, EarthJustice is challenging the way the Legislature spent millions of Amendment 1 dollars voters wanted for land conservation. EarthJustice Florida managing attorney Tania Galloni says Florida has much to lose from a Trump Administration dominated by climate change skeptics and deniers. Tillerson’s Exxon Mobil has been linked to a secret campaign to cloud public perception about climate change. The former Texas Governor has strong ties to the oil industry and promised to eliminate the Department of Energy that Trump now wants him to head. The Oklahoma attorney general is a climate change denier who has sued the Environmental Protection Agency, which he frequently accuses of overreach. Trump’s controversial lineup is causing a surge in online newsletter subscriptions and web page traffic, says Aubudon of Florida executive director Eric Draper. Draper is especially concerned about a Pruitt-led EPA. Oklahoma is already being called the “earthquake state,” because of the seismic activity resulting from widespread hydraulic fracturing, Draper says. 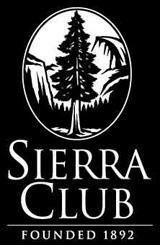 The Sierra Club, another environmental icon, registered 9 thousand new monthly donors since Election Day, more than it logged in the previous 11 months combined. Sierra Club Florida lobbyist David Cullen says in a sense, Trump is making it easier to sell the environmental message. The backlash is bleeding over into other progressive groups as well. The American Civil Liberties Union raked in 940 thousand dollars from 14 thousand donors on November 9 alone, a record for the 94-year-old group. Meanwhile, EarthJustice is gearing up for a busy four years, Fager says.